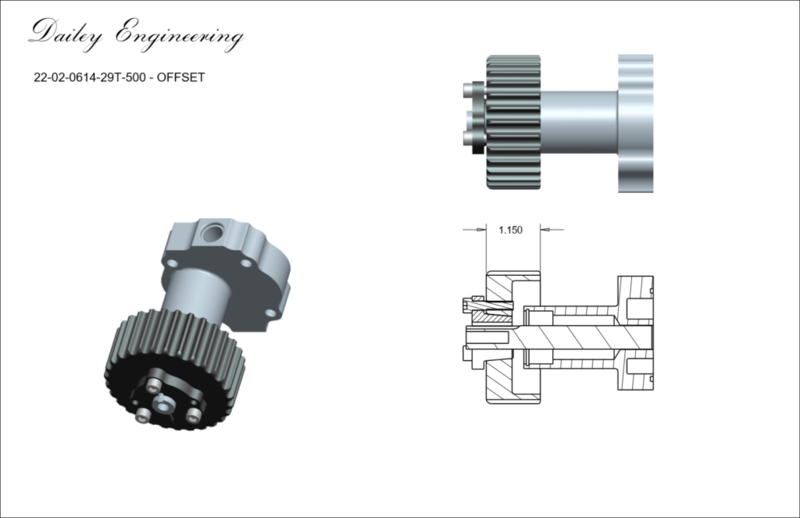 Dailey Engineering offers oil pump driven pulleys utilizing a taper grip locking mechanism. 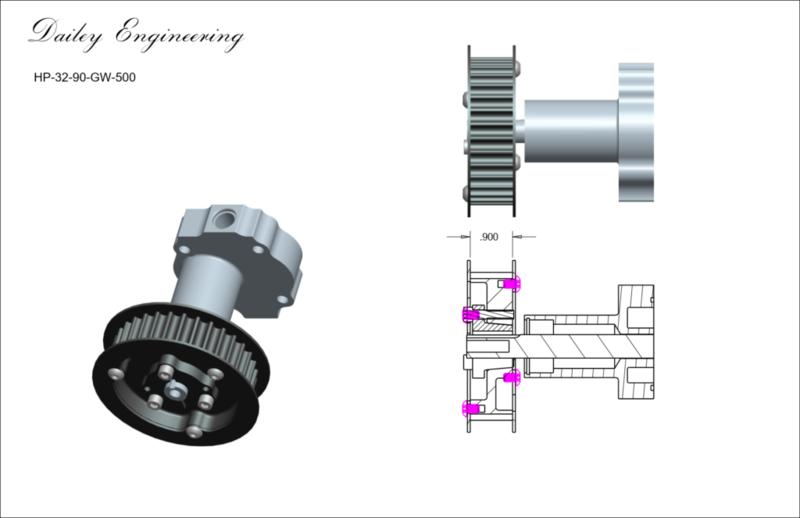 Our taper lock pulleys eliminate the need for set screws so the oil pump drive shafts remain undamaged when adjusted or removed. 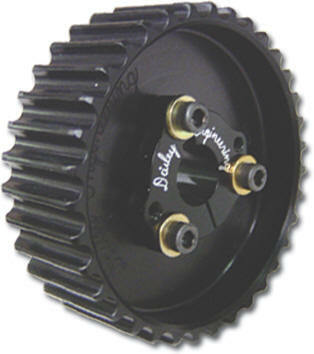 Our pulley hubs are available for 5/8” drive shafts and 1/2” drive shafts with or without drive keys. 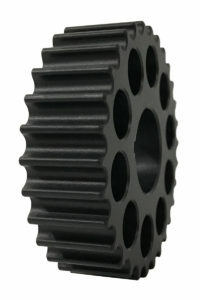 We currently carry 8mm HTD tooth sizes from 23 to 46. Sizes 25T, 27T to 37T, 39T & 40T available. The offset pulley series fills the gaps between the different pump nose length options and gives more flexibility with pump placement. We also have selected twin pin and 1″ bore crank pulleys along with a variation of drive mandrels that are not commonly found by other manufacturers. These are usually custom made for systems we have designed.